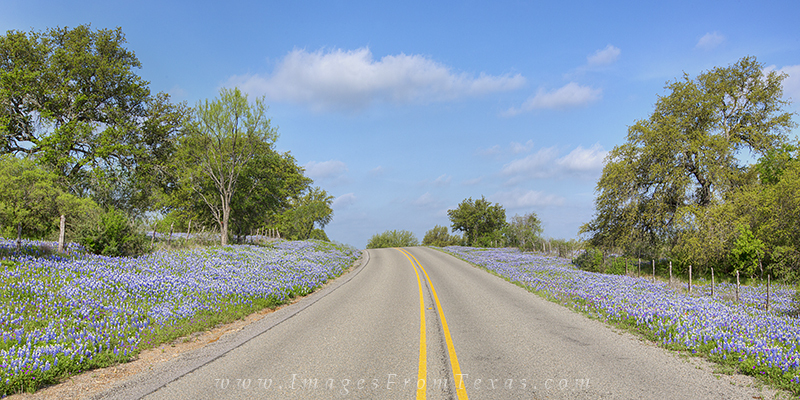 From the Texas Hill Country, you can follow the winding highways and enjoy amazing scenes of bluebonnets and other Texas wildflowers. This panorama is just one example of the beauty this area offers. Photo © copyright by Rob Greebon.